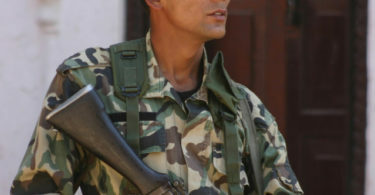 As readers of this blog know, the study of political conflict/violence and peace is important. Scholars often express the hope that better theoretical and empirical research on the subject might help save lives. One way to help improve the quality of work in the field is to help ensure the success of junior scholars, particularly graduate students. With this in mind, it is clear that graduate students face a number of potential difficulties during their time at school. Many of these are temporary or unavoidable. One potential issue that can be addressed, however, deals with a choice that students make at the beginning of their degree program–where should they go? This is an important concern because social science research on graduate school indicates that there can be many consequences for attending the wrong program. Being in the wrong place can make students unhappier, increase stress, cause illness, undermine productivity, and ultimately affect both graduate school and career success. 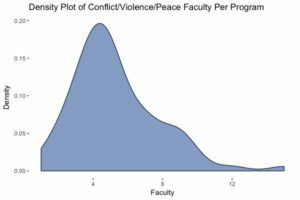 So, where should junior political conflict/violence and peace scholars complete their doctoral training? Unfortunately, it’s hard to provide a general answer to this question, as it depends on many personal preferences, such as what individuals want to study and how they want to study it. In order for prospective graduate students to select the right doctoral program, they need access to a wide range of information. It is often difficult for potential students to locate the kind of data that they need to make an informed decision. The most widely used guides (e.g., US News World & Report rankings, the National Research Council rankings) only report information about departments as a whole, rather than about how they approach conflict and peace studies in particular. This is also true of other blogs, bulletin boards, and online fora. This means that graduate students have insufficient information to make a crucial career choice, potentially causing them to attend a program that is not a good fit for their interests. What is clearly needed then is a comprehensive guide to political conflict/violence and peace programs. 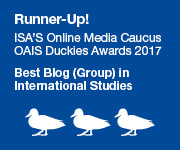 For the second straight year, the Conflict Consortium has created such a guide for US political science PhD programs. This review is now based on a large survey that we conduced of scholars in research-oriented political science departments. We sent the survey to 3,607 faculty members at the 120 institutions listed in the 2017 edition of US News World & Report’s Best Political Science Programs ranking. During the two weeks we collected data, 114 participants across 60 institutions participated in the survey (though not everyone completed it – hint, hint!). We report the lightly cleaned results of our survey on the Conflict Consortium website. We also provide this data in a raw text file and in wide- and long-form datasets for grad students to examine however they see fit. Our hope is that this information can help junior conflict scholars make better informed decisions about where to conduct their studies. Some basic information is useful. For example, the field is thriving. There are 60 programs with self-identified conflict/peace scholars. We will continue to refine alternative ways of determining who is actively a producing scholar and/or who actively is teaching in the relevant field, but for now we have simply combined results from anyone who self-classified as being in the conflict/peace area. As illustrated in Figure 1, there are places with a few scholars and other places with a dozen or so; on average we find that a program has 5 in them. And Figure 2 shows that these programs are dynamic places – with about half of hosting conflict/peace workshops or speaker series, and with the vast majority involved in actively collecting new conflict/peace datasets. What else could one evaluate? Students might be interested in the ranking of the overall program. Students might be interested in how many people study state repression, civil war or sexual violence at the global or sub-national levels. With a few clicks, this information is closer than ever. 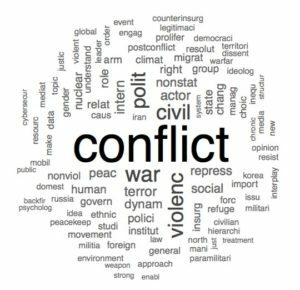 While our primary interest in conducting this survey was to compile information for prospective graduate students, we also took the opportunity to ask respondents about the what they thought were “the most important conflict/peace topics today.” We conducted some basic automatic text analysis on these replies and plot the frequency of stemmed words in Figures 3 and 4. Figure 3 is a word cloud, where larger, darker words represent words that are mentioned more frequently. 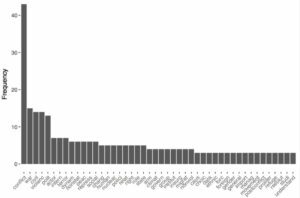 Figure 4 shows the frequency of words in replies. What’s useful to see in both of these is that most words are infrequently mentioned and that they cover a wide range of topics. This indicates that there is great disagreement about what are the most important things to study in the future. The information we collected this year was more comprehensive in our first survey, but we hope that even more conflict/peace scholars will participate in future years. One of the problems we had when implementing our survey is that we did not include an “international affairs” department in our sample. A conflict scholar pointed this out to us, and we invited people from that department to complete the survey. The important point here is that the success of this survey depends in part on the participation of individuals in the political conflict/violence and peace community. While we do not expect other researchers to notify us of errors such as this, we would be very grateful if other scholars took a few minutes to complete the survey. It takes a village to do this and hopefully ours will step forward to give us a better understanding of what ours looks like for those seeking a home. 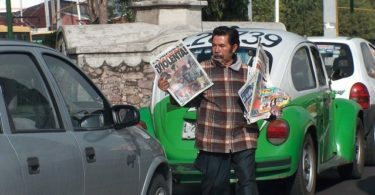 An Amnesty Deal for Mexico’s Drug Cartels?